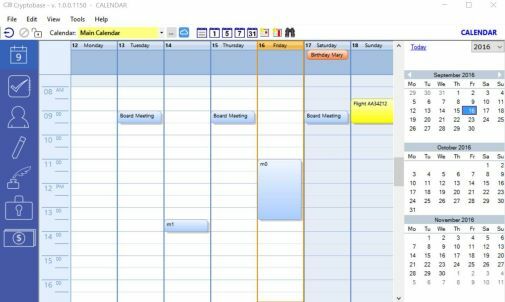 The Calendar module appears and is used as most of the calendars available for desktop computers or mobile devices. With the difference that every single event is encrypted with a random keyword before being saved. 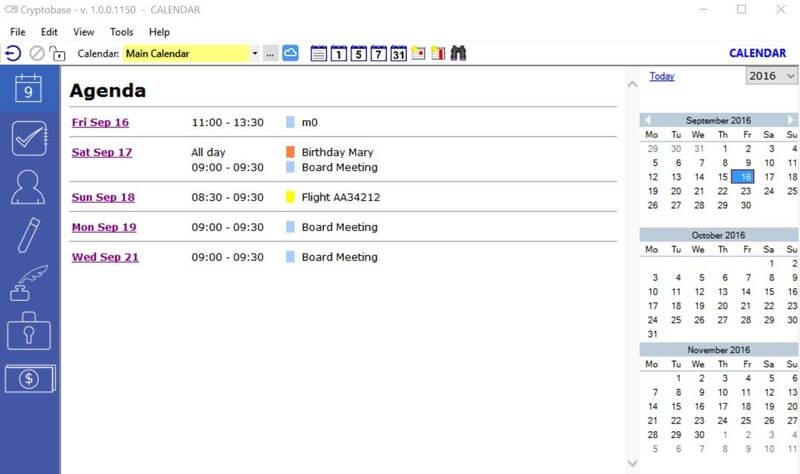 Different events are stored with different keywords. This makes it practically impossible for intruders to use your data. In addition, particularly sensitive appointments or recurrent events can be marked as "private" and will disappear from the screen at the hit of a button (or automatically if the app has not been in use for a couple of minutes). To show them again you are required to enter the PIN or (after entering a wrong PIN) the main password. 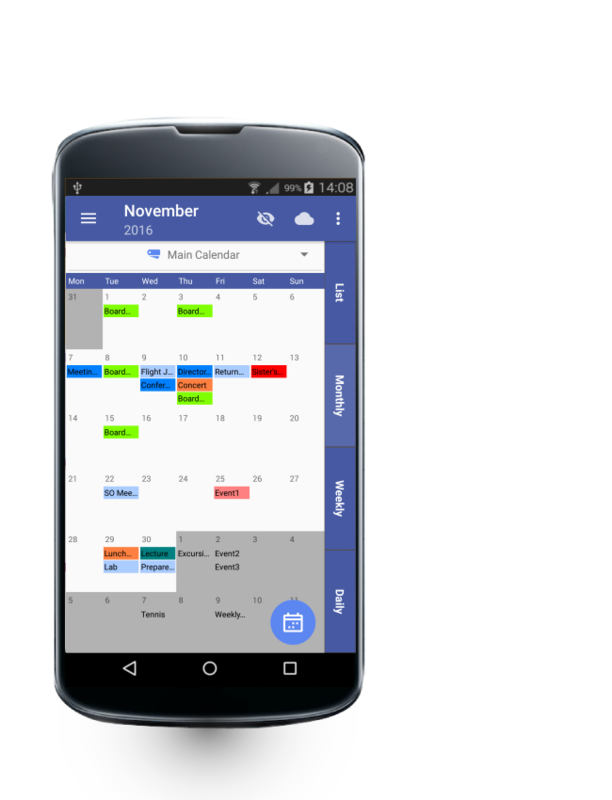 Most basic calendar functions are available. Considerations about decryption speed and database size have induced us to leave out some fancier features (attachments, images etc.) or to implement them at a later date in upcoming releases. You can create any number of calendars in addition to the default calendar and assign a different color to each of them. 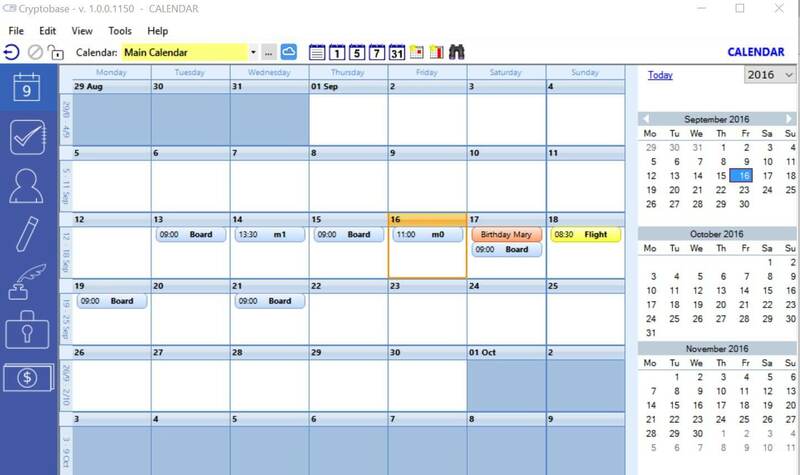 This makes it easy to distinguish the events when all calendars are shown together. You can also choose to view one calendar only. 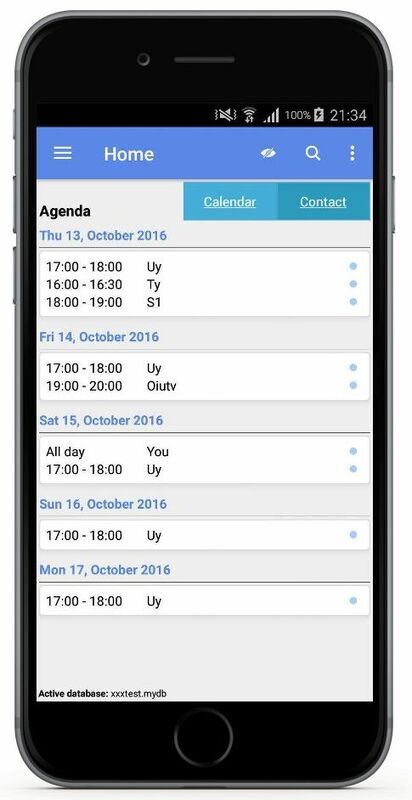 Schedule one-time or recurrent events, scheduled or all-day. 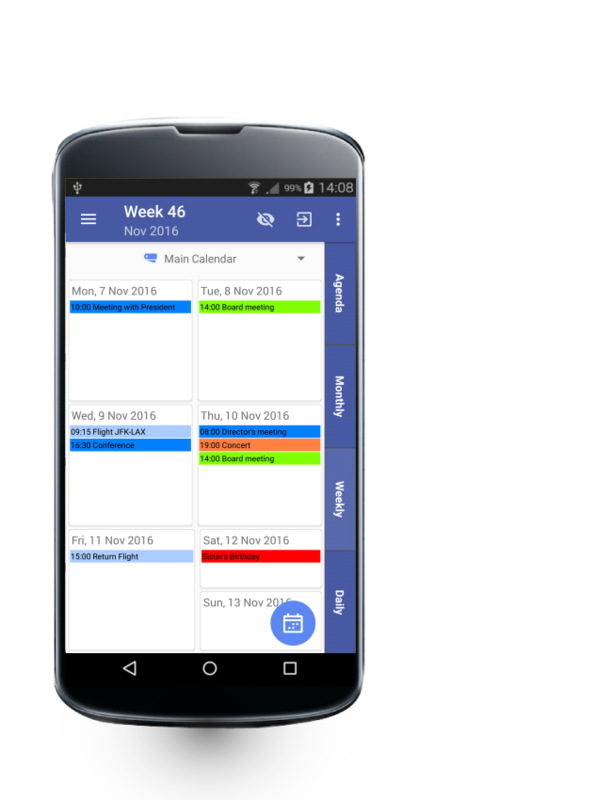 Optionally, override the calendar's default color by choosing another one to highlight the event. 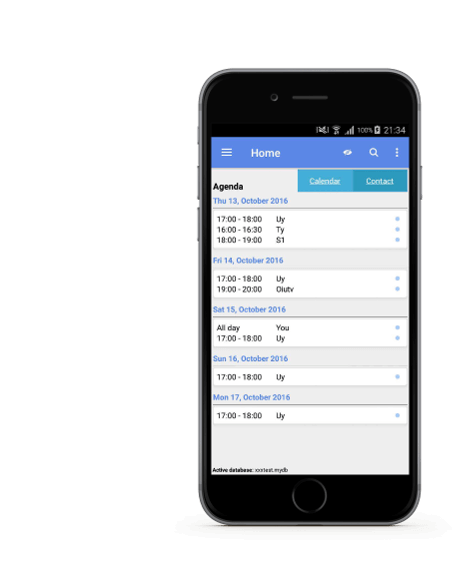 You can add a reminder to any event. Of course, the reminder will alert you in a generic way, without disclosing the real content of the event when it appears as pop-up message on the screen.